Before you decide whether ombre, sombre, balayage or babylights are best for you, it’s crucial that you know the difference between each of the techniques versus traditional highlights. The classic method of lightening hair, highlights start at the root, and tend to be methodically applied in sections to give a more consistent, patterned finish. Go with highlights if a bright, all-over blonde look is your end goal, and your colorist will help you decide whether a half head or full head of foils is required. Usually, a permanent hair color like Wella Professionals Koleston Perfect ME+ or Illumina Color will be applied, and can be painted on in multiple shades. But, while highlights will give you a polished look when freshly-done, the close-to-the-root finish means you’ll need to get the color retouched every 6 to 10 weeks. If you want to look like you’ve just returned from a summer of sunning in Cannes, opt for the ultra-natural, beyond-subtle finish of babylights. These micro-fine highlights are almost undetectable to the untrained eye, and work much like highlights, in that they run from the root to the tip for an all-over lift. So, what’s the key difference between babylights and highlights? For starters, babylights are set closer together, and the colorist will wrap a much smaller amount of hair into each of the foils. It’s time-consuming, but the hard work pays off: the re-growth tends to be much softer, and the technique can work on all hair colors, whether you’re blonde, a redhead or brunette. Balayage is French for ‘sweep’, which is pretty apt; the technique involves painting highlights freehand, in order to create a soft graduation of effortlessly sun-kissed blonde. A free-hand lightener, like Wella Professionals’ unique Freelights formula, is stroked through random sections of the hair, sans foils, to appear completely seamless. When you ask for balayage in the salon, your colorist will find the best shade to suit your base color, often pairing brunettes with warm honey hues, and adding bright gold strands to blonder tones. The result? A low-maintenance look that features darker roots and lighter ends, as if you’ve tied your beach hair into a pony and let the sun brighten the tips. Dreamy. Many people confuse balayage and ombre, because they’re both a kind of dip-dye. What sets them apart is in the contrasting, block-y finish of ombre, compared to the painterly strokes of balayage. With ombre, a pre-lightener like Blondor is applied from the mid-lengths to the tips, then backcombed upwards to create a seamless blend with your natural base color. 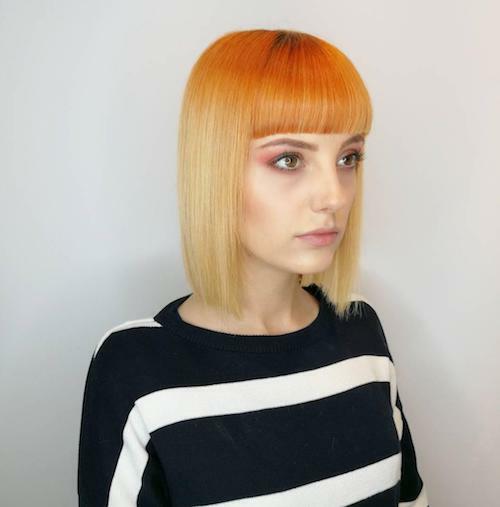 The ends are then toned - a Wella Professionals colorist would do this with demi-permanent dye, Color Touch - to remove any brassiness and add a hint of glossy shine to your lighter ends. Go for sun-kissed blonde or opt for one of this season’s striking, trending shades, like a touch of smoked peach, a hint of candyfloss pink, or ends swathed in denim blue. Sombre is the softer version of ombre, using less contrasting shades. Instead of dyeing tips two or three shades lighter, your colorist might lift strands one shade for a sunset effect. 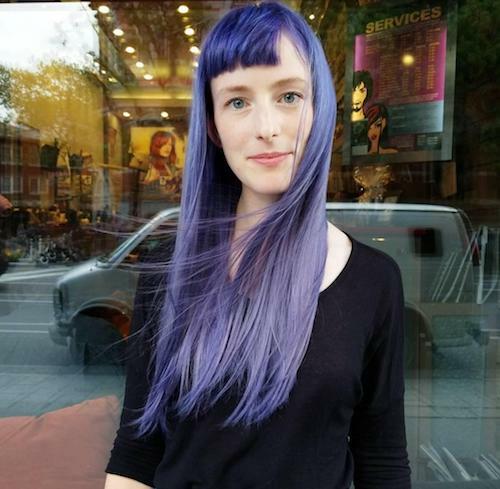 It’s the most low-maintenance of all the looks, as it grows out entirely seamlessly, so if you’re shy about trying a dip-dye, this is your entry-level look. 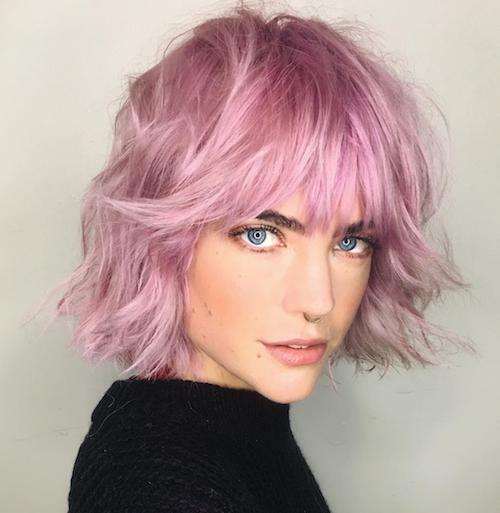 For more summer hair inspiration, check out the #WellaHair Family gallery, or head to our Instagram, Facebook and Twitter to see plenty of sun-kissed looks. Our eEducation platform also has seminars on balayage, so sign up to learn more about how to create this seamless, summery style.